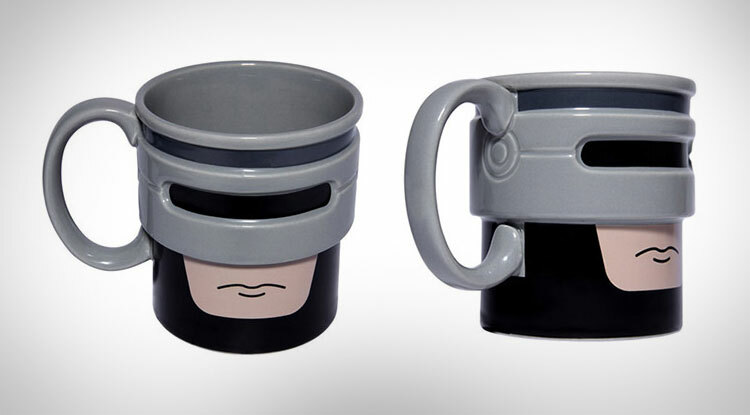 RoboCup is a coffee mug that looks, tastes, feels, and sounds just like RoboCop from the hit 1987 Thriller thusly named RoboCop. 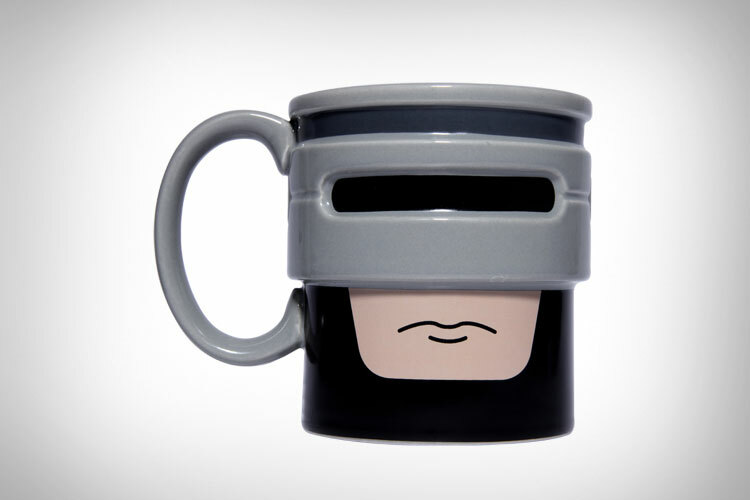 This super-human mug has only 3 prime directives: 1. 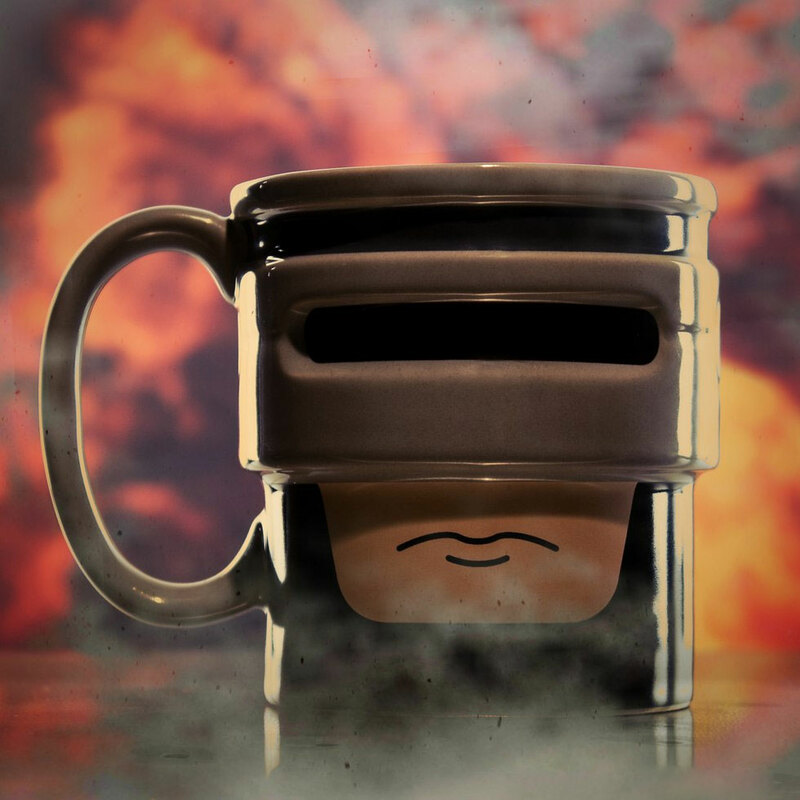 Deliver steaming hot beverages to your mouth in a safe and functional manner. 2. 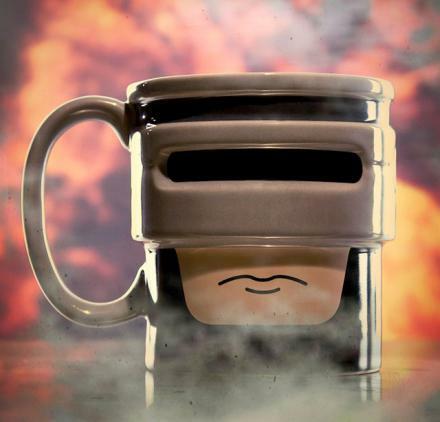 To uphold the law around the coffee maker. 3. To be, and remain to be dishwasher and microwave safe. 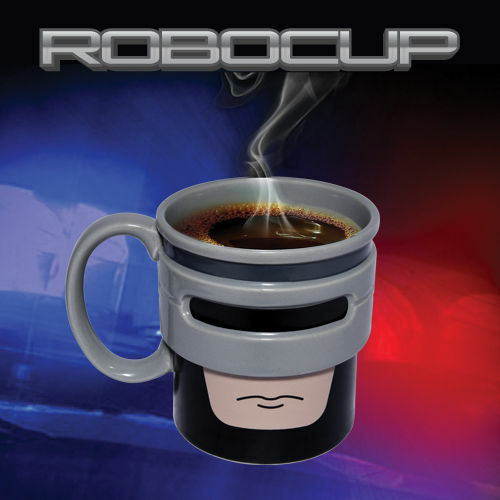 The RoboCup is made from a superhuman hybrid of flesh, steel, and ceramics, and measures 10 cm x 9.3 cm.